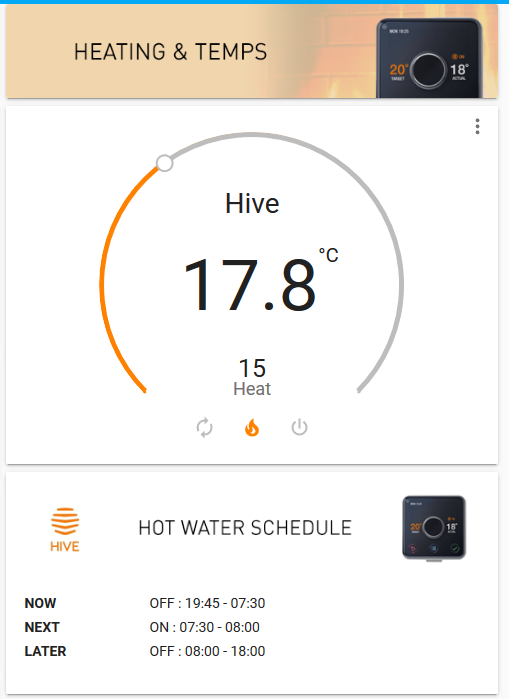 Hive Smart home heating makes it super easy to manage water / heating on the go, plus it integrates with Home Assistant! I took awhile deciding whether or not to purchase as at the time I was looking at whether it would save the household money in the long run but as I have a water tank the water rather than a combi-boiler it needs to be programmed per day so the timers were pretty much set on a daily basis using the old fashion programmer which was set and forget! The hive unit is around £249.99 with installation or cheaper DIY route but I really didn't feel comfortable attempting to do this myself. However around October last year Amazon had an offer on for about £199 with installation and a free Amazon echo included which was too good to pass up at the time. You can get much cheaper offers now such as at the time of writing the unit can be purchased for £145 as well as being available on Amazons monthly payment option to spread the costs over 5 months. The engineer was very good, our set-up took a bit of tweaking as there was a separate controller for our heating and water tank but he managed to figure it all out and get it up and running. You will need a spare plug socket and Ethernet port to your router for the Hub - we had a network switch so plenty of free ports available but the rest is all taken care of. The engineer then tested to make sure I knew how everything works within the app, so overall a really good job by British Gas. 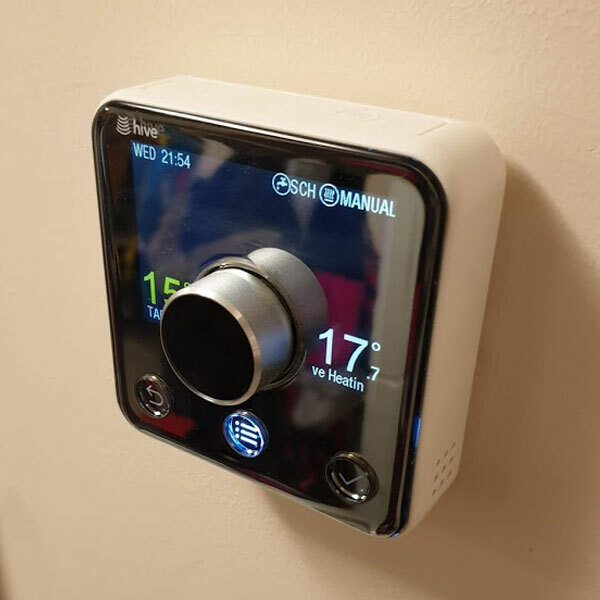 The app is really easy to use so the whole family got to grips with this quickly, the hive home heating has definitely helped massively as we no longer need to awkwardly reach into the cupboard to change the timers if we know we aren't going to be home so early etc. Being able to adjust the timers on the go is huge, driving home from visiting friends you can have the house fully heated just before you arrive. So no need to waste money heating the home too early or if you forgot to turn down the heating before you left its easy. I really recommend the Hive but haven't had a chance to test other suppliers but from my current experiences it has been perfect with not a lot of issues since it was installed. There was one major system/server outage recently where no-one could use the app any more but Hive acknowledged this and promised they have made changes to their infrastructure to not allow this to happen again. So shop around but at £145 and cheaper every year its a bargain! unless there is a new model out soon but really with the current app and Home Assistant integrations why bother paying more right now!